It’s no secret that recurring revenue results in high valuations. However, I’m increasingly encountering people and companies that do understand the financial side of things, but have decoupled from the underlying dynamics. Let’s give this some thought! I’d like to introduce a model that helps to define what the value of a single customer is. Look at it like a gauge or speedometer on how much value a single customer brings. It all starts with a contract. That results in a certain value based on three elements. 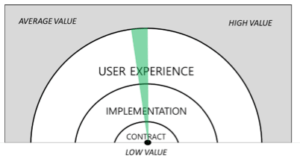 Now if you agree with this model, you’re either treating user experience as your top priority or should start doing so. In either case start thinking about why feedback is so important and do some research into what type of customer criticizes you the most. As it is probably not only your cheerleaders that are going to make you a valuable company, but also the ones that are pushing you to improve the user experience of your product every day. Another thought could go to how to implement the product. A customer implementing the product themselves is way more valuable than if you have to do it for them. Alternatively, an academy educating a customer on implementing could result in far more valuable customers than simply sending then a tutorial. Or give the contract length some thought, customers that choose your product over and over again could be worth far more than the customers that have already signed a five year deal. I’d love to hear from people who like this model and appreciate any feedback on it. And how valuable are your customers? Do they love you product or do you only have a contractual relationship? And, do you score a 10 or a 1? In any case: Let’s improve that user experience! Nice model! I think the keyword of this post, without you actually mentioning it, is ‘churn’. 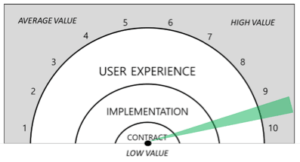 Better user experience -> lower churn -> more effective use of resources and capital -> higher value. “Customers that choose your product over and over again could be worth far more than the customers that have already signed a five year deal.” This is actually a very interesting thought. I think conventional wisdom is that the longer the contract lengths, the better (e.g. more predictability in cash flows). 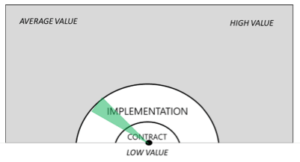 However, there is a strong signal if customer confirm the value of the proposition again and again, although it’s riskier (what if customers don’t renew?). How do you VCs include contract lengths in for example the valuation of company. What do you prefer? @Thomas great reply! 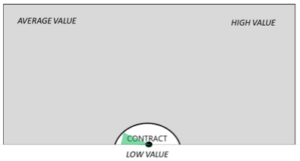 Nothing scientific on how to use contract length in determining the value of a company. But, there is an interesting relationship between long contract length and monthly contracts which get renewed every month. Preference depends on type of company. But, yearly contracts seems to be best for good valuation at this moment.